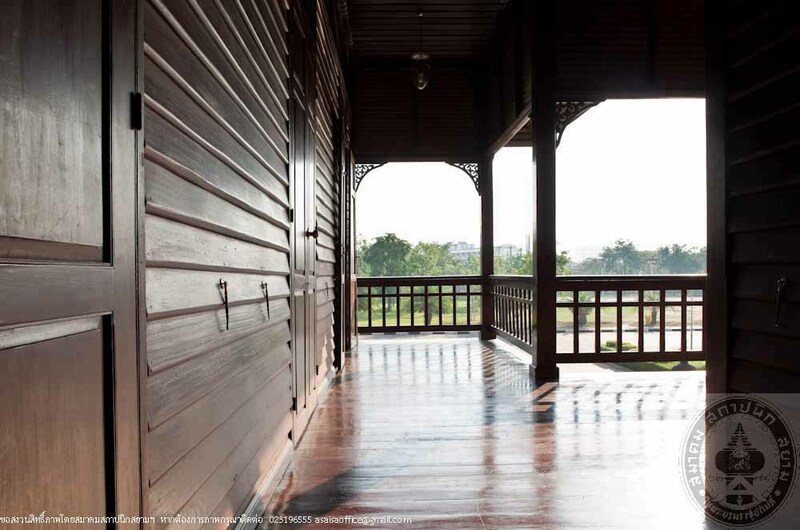 The Hall of History or “Wang Daeng” initially served as the first learning building of Udon Thani Rajabhat University and some parts were later adjusted to be teacher office and administration room. 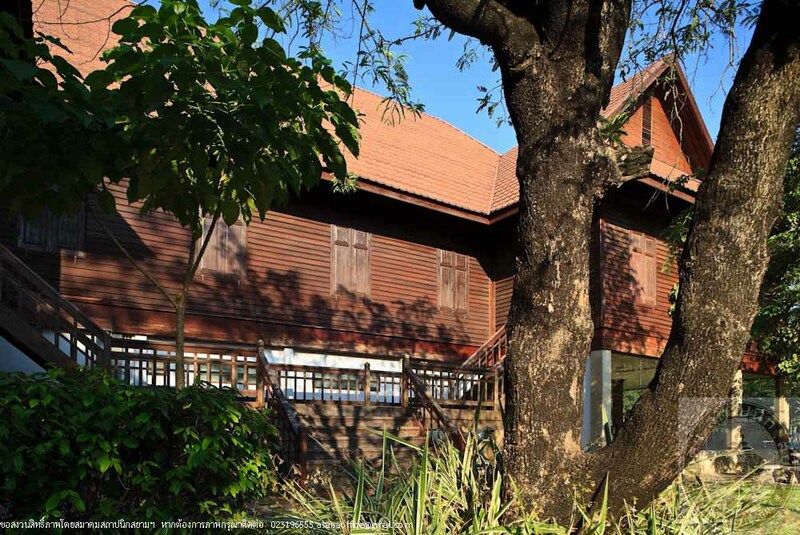 The renovation was done again in 2002, during Assistant Professor Charun Thawonchak’s time as the rector. 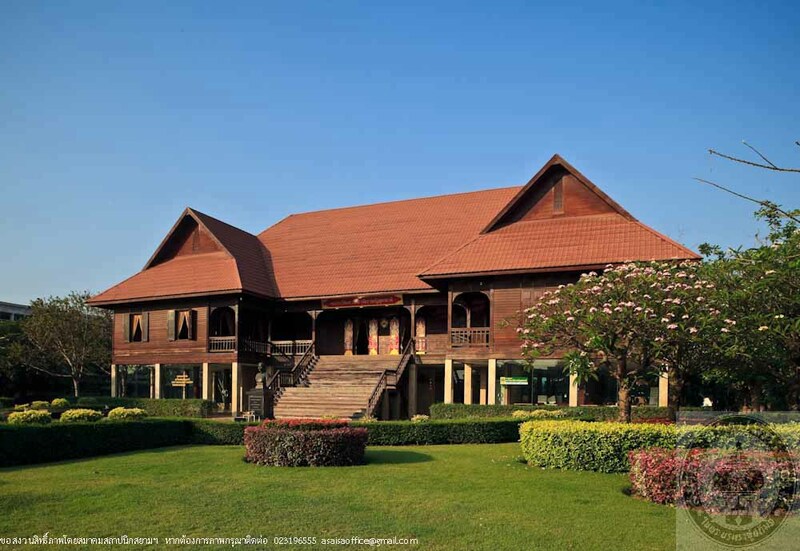 Its ground floor became a multi-functional hall for university’s activities and the upper floor was opened as a museum displaying chronicles of this institution, named as Hall of History Udon Thani Rajabhat University. Furthermore, the building has also been slightly relocated from the original spot to maximize the harmony of the building and its surrounding environment. 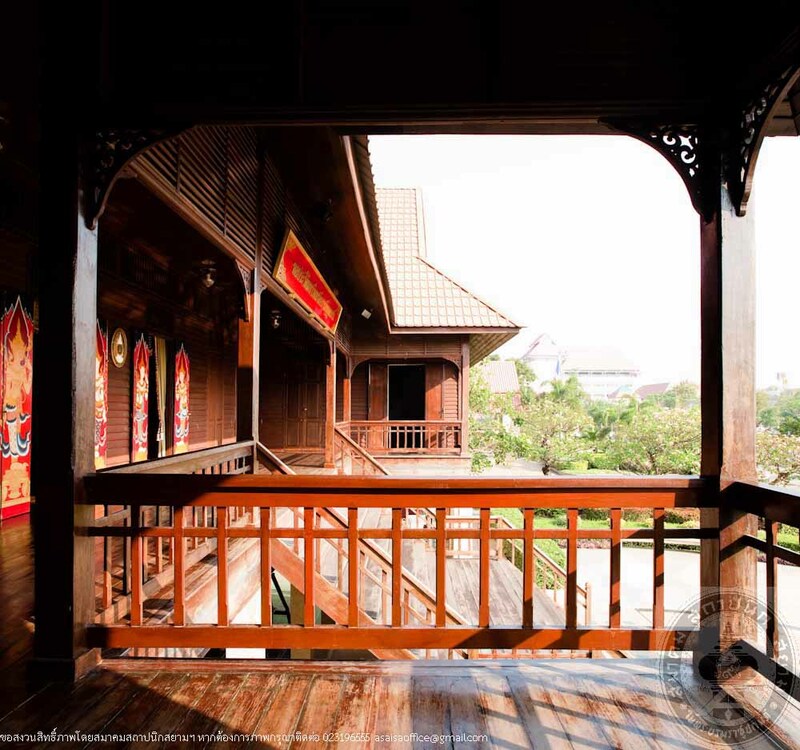 The Hall of History is a large raised platform building constructed entirely of wood. 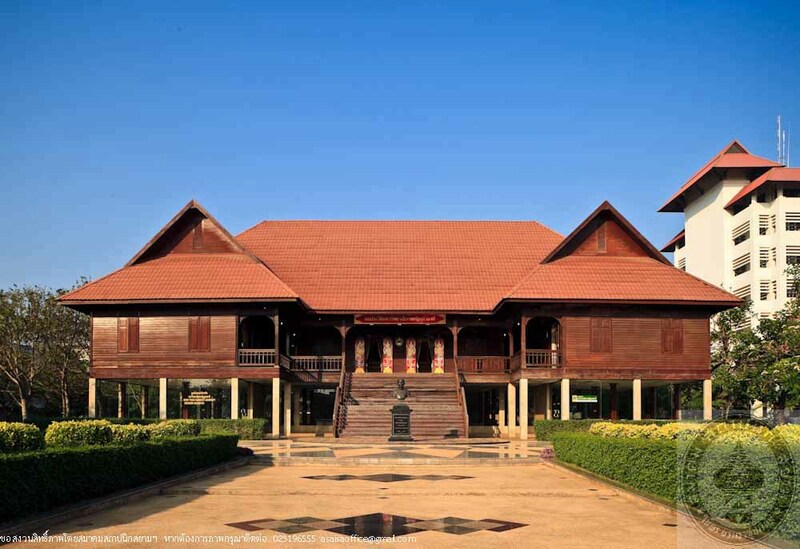 Its architectural shape is similar to residential houses found in the northeast of Thailand or traditional ancient governmental offices. 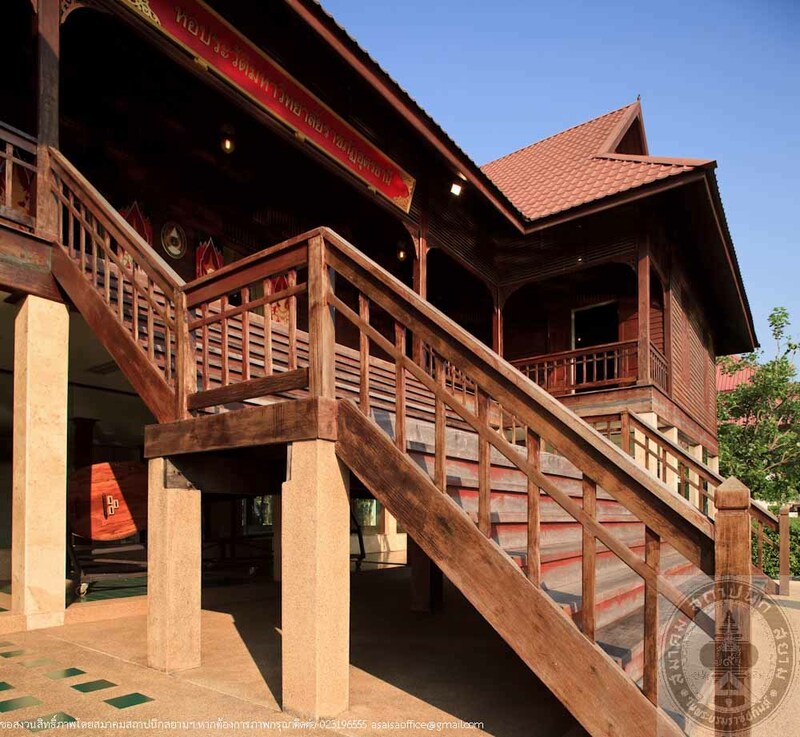 The building has a symmetrical H-shaped plan with a large wooden staircase in the center and a balcony leading to each room. 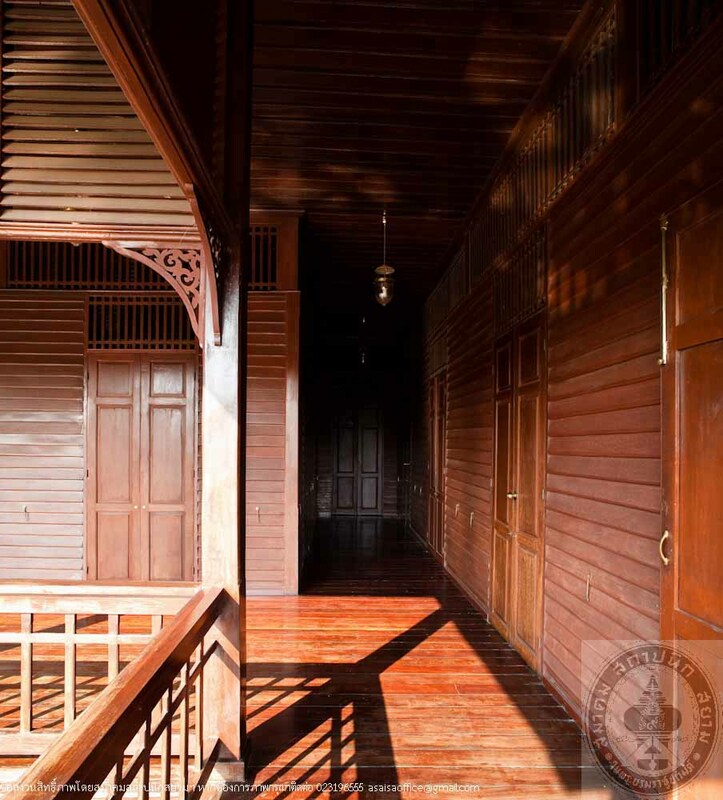 The overall wooden walls have ventilated air spaces between lathes except for the solid balcony walls as to prevent the building from sunlight and rain. 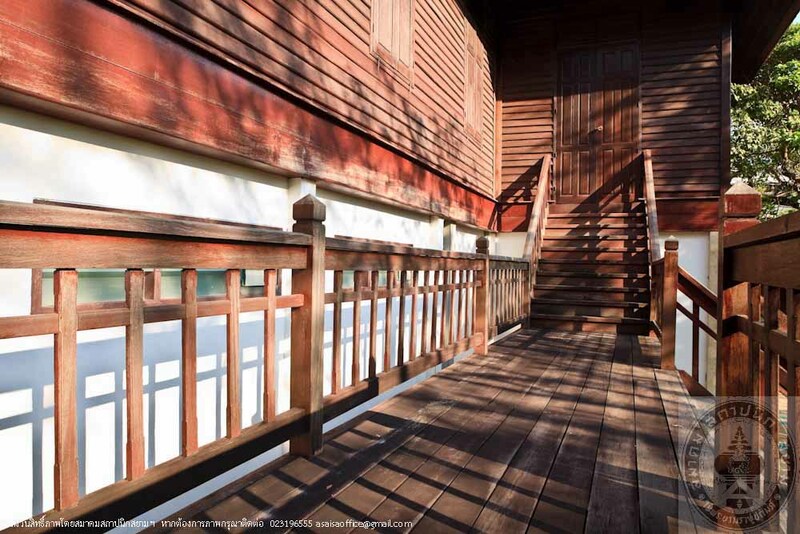 Besides, carved wood poles can be found in every corner of the balcony. 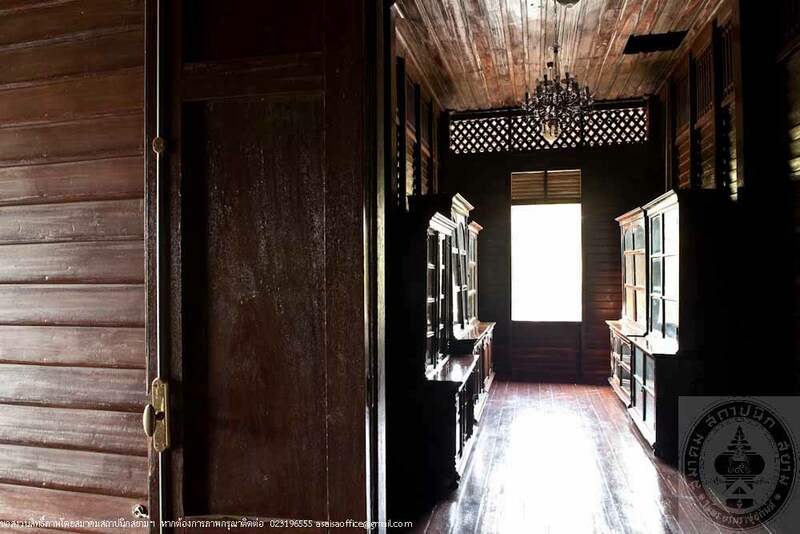 Its panned doors and windows were made of thick wood with penetrable cogged on top. 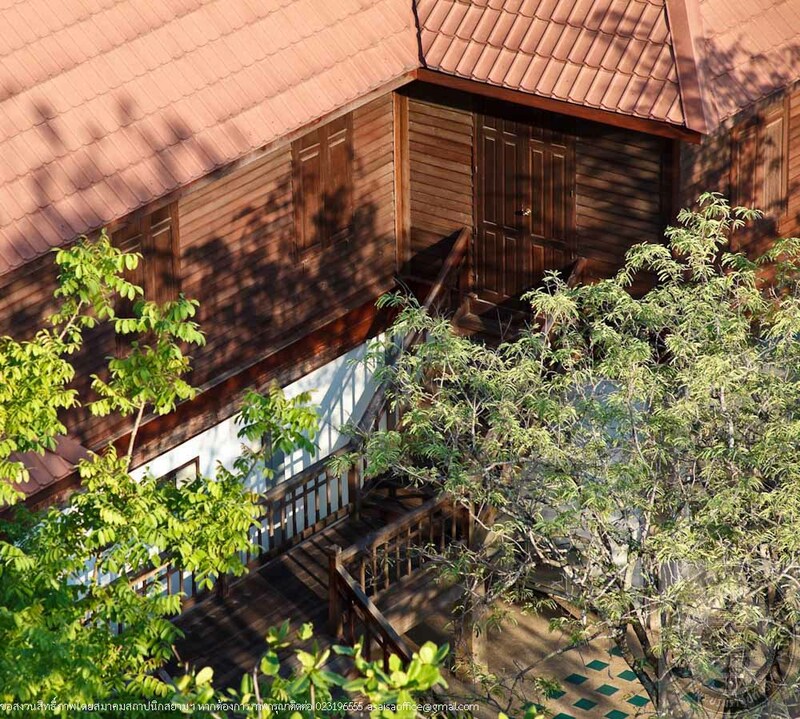 The gable roof was mixed with a hipped roof and also covered with red steel scanroof. Hall of History, UdonThaniRajabhat University has been regarded as the model for the conservation of valuable architecture by adapting its functions while maintaining the integrity of this heritage.